Texas law gives property owners the right to protest actions concerning their property tax appraisals. We represent residential and commercial property owners with their property tax protests. We will prepare a custom analysis to take before the Appraisal District. We will create a comparative market analysis and an inequality of appraisal analysis. Our analyses will include the information from the Appraisal District, the MLS, and of course, you! When is the deadline to protest? In most cases, the deadline to protest is May 31st of every year. In the case that May 31st is a weekend or holiday, the deadline is extended to the next business day. Is it too late to protest? It is not too late to file a timely protest. In most cases, you have until May 31st to file a protest, but if you have just received your notice of value for 2017, you may still have time. How can you reduce my value? We know that not every home is the same, and that’s why we provide a personalized, custom analysis of your home. We know what evidence the District generally finds persuasive to lower your value, and we argue those differences that matter. At the end of our protest, the District will individually appraise your home, and you will only pay taxes on what your home is actually worth. Do I have to attend the hearings? No, Ryan M. Cohen or another licensed attorney will personally attend all appraisal district hearings on your behalf. What are your fees for representation? We charge a small percentage of your savings. For homes valued at less than $200,000: We charge 40% of your tax savings. For homes valued from $200,000 to $1,00,000: We charge 35% of your tax savings. For homes valued at more than $1,000,000: We charge 30% of your tax savings. For Commercial Properties: Contact us directly for pricing. Can my taxes go up? There is a chance, but it is very rare. Because Ryan M. Cohen personally attends each hearing, he can often gauge the situation and if he suspects this may happen, he will promptly withdraw the case. Will the Appraisal District send someone to inspect my property as a result of a protest? No, the appraisal district does not visit properties because they have been protested. At the hearing, we can request that the appraisal district visit the property if we believe that it is in our client’s best interest. In general, they do not have time to individually visit protested properties. How can my property taxes be lowered? Say, for example, you purchased your home for $300,000 during the real estate boom and now the market value of your home is $240,000. With this 20% (or $60,000) reduction in market value, this will save you approximately $60,000 X 2.5% = $1,500 per year!! Can you guarantee a reduced value? No. We realize that we can’t be successful with every client every year. Sometimes your house really is worth what they say it is. In those cases, even though an increasing property value is a good thing, we want to provide you value for your money, and that is why we have our generous guarantee. If we do not reduce your 2017 Proposed Value by at least 2.0%, we will represent you next year for FREE. What if my taxes are escrowed with my mortgage payment? The Law Office of Ryan M. Cohen will guide you on the easy process of having your new tax assessment filed with your current mortgage company to help have the payment reduced. Why should I file an appeal this year? You may be paying too much in taxes. The Mass Appraisal System used by the District does not always accurately reflect your home value. Protesting Today can benefit you for three years or more. Tax rates in Texas are often ranked highest in the nation. Value is likely to increase- protest now to keep your property taxes under control..
Foreclosures can now be used to lower your property value. I’ve got several rent properties, can you help with them? Yes, we work on all types of residential properties in Bexar, Kendall, Comal, and other South Texas counties, including single family, duplexes, condo, town homes, lake houses and vacation property. What if I’ve refinanced my home? Refinancing does not affect your assessed property value; however an appraisal may help your case. The assessed property value is based on the purchase price or market value of the home. Why are property taxes assessed so high in Texas? Because the state of Texas does not have an income tax, the state’s major revenue source is from the assessment of property taxes. Why is reducing the assessed value of my home so important? Because the assessed value along with your county’s tax rate determine what you will pay in annual property taxes. With the current state of the economy, counties are facing large budget shortfalls, and it is expected that they may raise the tax rate. This means that even if your taxable value is unchanged, your taxes will increase. Thus, it is important that your home is properly appraised. Your county will schedule hearings beginning in mid June and continue through July and August based on when the District schedules us for a hearing. We should have results to you by September 1st at the latest. Binding arbitration creates a forum in which both parties to a dispute present their positions before an impartial third party. Generally, in binding arbitration, an independent, neutral arbitrator hears and examines the facts of an appeal and makes a decision that is binding on both parties. More specifically, binding arbitration, in the context of property value disputes, creates a forum in which both parties to a dispute present their positions before an impartial third party, who renders a specific award that is enforceable by law and may only be appealed as provided by Civil Practices and Remedies Code §171.088, for purposes of vacating an award. • a lawsuit has not been filed in district court on the same matter. Are there restrictions on when I can file for binding arbitration? Yes. A request for binding arbitration must be filed with the appraisal district within 45 days of the property owner receiving the ARB order determining the protest. Do I pay taxes while my appeal is in process? Yes, you must continue to pay taxes as usual while your case is being appealed. Once a reduction agreement has been made, your county will send you a refund. The tax rate is the rate you are taxed at per $100 of valuation. If the combined tax rate in your county is 2.786% and your property is assessed at $250,000, your tax is $6,965/year ($250,000 x 2.786%), less any exemptions. 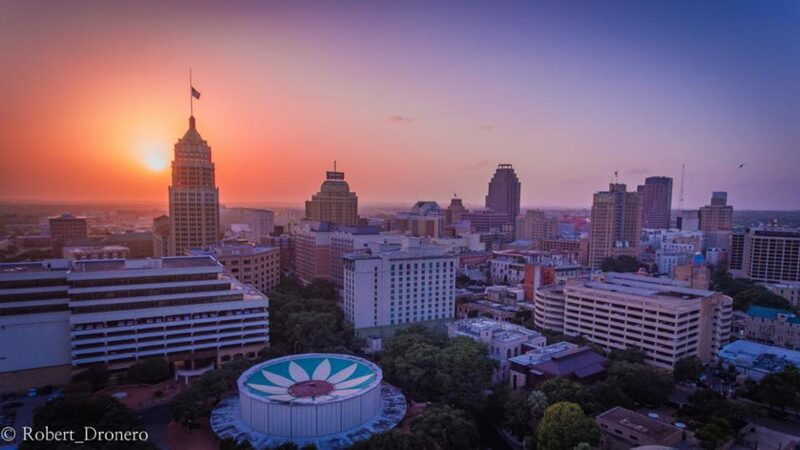 It’s comprised of many parts, including County, City, school and in many areas like San Antonio will include Hospital District and College District taxes. If your property is assessed at $300k but the CURRENT market value is $150k, your taxes go from approximately $7,500 down to approximately $3,750. That’s half, and in this case it’s about $3,750/year savings. Why is filing an appeal in a timely manner so important? Once you receive the Notice of Appraised Value from your county’s property appraisers office (usually sometime in early April), you only have until the end of May to file a property tax appeal. It’s important that you file that appeal within the timeline set forth by the county rules and regulations. If those procedures are not strictly followed, and evidence is not presented within a timely manner in accordance with the rules set by your county’s Central Appraisal District (CAD), you will not have a successful property tax appeal. As a result, we will not be able to get you a reduced assessed value and your property taxes will be higher. Is there a fee involved for filing binding arbitration? Yes, the fee does vary depending upon the market value of the home per ARB Order and if the home is the owners homestead. The good news is that if you prevail you get back all but $50. The appeal for binding arbitration may only address market value for real estate. You will need Form AP-219 and a money order or a check issued and guaranteed by a banking institution in the amount stated on Form AP-219 made payable to the Comptroller of Public Accounts. The completed form and funds must be delivered to the county appraisal district within 45 days of the receipt of the ARB order. Regardless of the outcome, $50 is retained by the Comptroller’s office for administrative costs. If the property owner wins the dispute, the owner is refunded the balance. If the arbitrator’s assigned value is not nearer to the owner’s opinion of value than the appraisal district’s value, the arbitrator is paid from the property owner’s deposit. What appraisal disputes do not qualify for arbitration? • the ARB issued any document other than an order of determination, including but not limited to a dismissal notice, an order of dismissal or documentation stating the ARB lacks jurisdiction. Binding Arbitration? Please explain that.